He has been helping forum members from long time consistently and we are proud to have him in the forum. He is business degree holder from University of Texas and retired Regional Manager for ING. Don, Many Many Thanks for your great contribution to forum. Noorain Ansari has been selected as 'Most Helpful Member' for the month of Feb'12. He has posted 156 posts in Feb'12 and helped many people through his expertise. He has been consistent contributor to this excel forum and has acheived this recognition for second time. Noorain, Many thanks for all your great support to group. Keep it up. Noorain Ansari has been selected as 'Most Helpful Member' for the month of Jan'12. He has posted 175 posts in Jan'12 and helped many people through his expertise. He has been consistent contributor to this excel forum and has acheived this recognition for second time. Thanks to Rajan Verma, Sam, Don Guillett, Kris, Bheema, Venkat, Chandru , Priyanka, Lokesh and other folks for helping excel enthusiasts voluntarily !! Keep it up !! He has posted 105 posts in December2011 and helped many people through his expertise. He has been consistent contributor to this excel forum and has acheived this recognition third time. Thanks to Don, Noorain, and other folks for helping excel enthusiasts voluntarily !! Keep it up !! 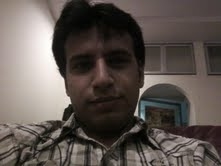 He is working with WNS, Gurgaon as analyst. MIS Automation with Excel VBA comes as his area of Interest He is pursuing Msc-IT and getting experience in writing application. He has posted 129 posts (13% of total posts) in Nov 2011 and helped many people through his expertise. He has been consistent contributor to this excel forum and has acheived this recognition second time. Sam, Many thanks for all your fantastic support to group. Cheers!! Thanks to Don Guillett( Runner -up ), Noorain, Ashish and other folks for helping excel enthusiasts voluntarily !! Keep it up !! Sam is Kerala born malayalee and has been in Gurgaon, since 2004 and living happily with his family. He has been working in WNS, Gurgaon as a Team Manager and leading a big team of 23 MS-office specialists. Sam is passionate about office applications, and wanted to share and help people around on same. He regularly spend 2 hours online daily to solve people queries on different forums. Apart from work, he is fond of computer games and like to spend time with his kid. He has posted 147 posts (13% of total posts) in Oct 2011 and helped many people through his expertise. He has been consistent contributor to this excel forum but has acheived this recognition for first time. Thanks to Don Guillett, Noorain, Ashish, Dilipandey, Rajan , Aamir, Hasib , XLSS, shaneallen and other folks for helping excel enthusiasts voluntarily !! Keep it up !! He has posted 140 posts in sept 2011 and helped many people through his expertise. He has been consistent contributor to this excel forum but has acheived this recognition for first time. Thanks to Don Guillett, Bheema, Venkat, GoldenLance, Ashish Koul, XLS S , Paul and other folks for helping excel enthusiasts voluntarily !! Keep it up !! He has posted 152 posts in August 2011 and helped many people through his expertise. He has been consistent contributor to this excel forum and has acheived this recognition for second time consecutively. Thanks to Noorain, Venkat, Sunny(XLS S), Don Guillett, and other folks for helping excel enthusiasts voluntarily !! Keep it up !! He is working with INDUS TOWERS LTD Pune (A Large Telecom Company ) as a energy manager since last 4 years. MIS Automation with Excel VBA comes as his area of Interest He is pursuing Msc-IT and getting experience in writing application. He has posted 170 posts in July 2011 and helped many people through his expertise. He has been consistent contributor to this excel forum and but achived this recognition for the first time. He has also created a record of highest number of posts by any individual in a month.